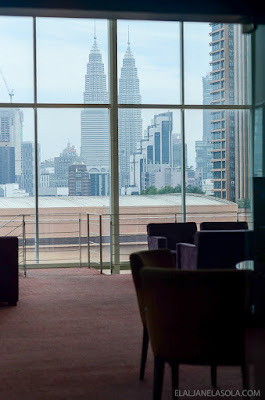 Visiting Malaysia the second time around during my birth month is one exciting journey that started at Kuala Lumpur. Of course, I learned from my previous visit that it is best to find a place where everything you need is almost few minutes away. 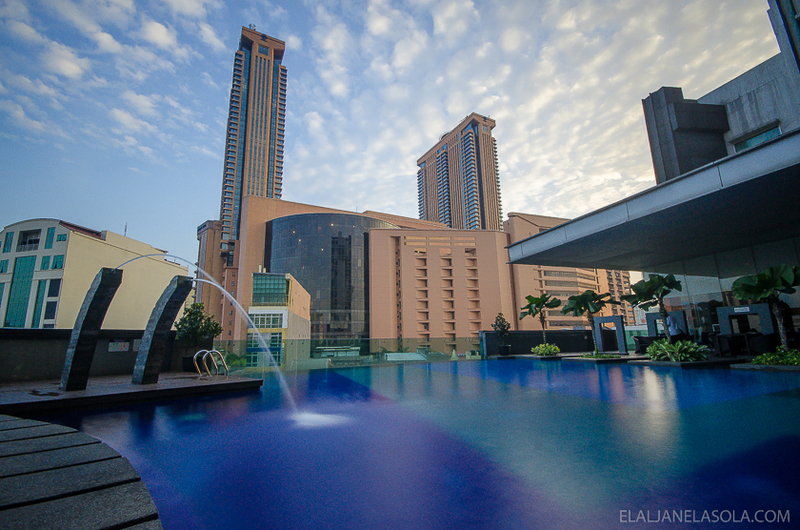 One of the bustling center in Kuala Lumpur is Bukit Bintang – malls, restaurants, night markets, -- you name it. 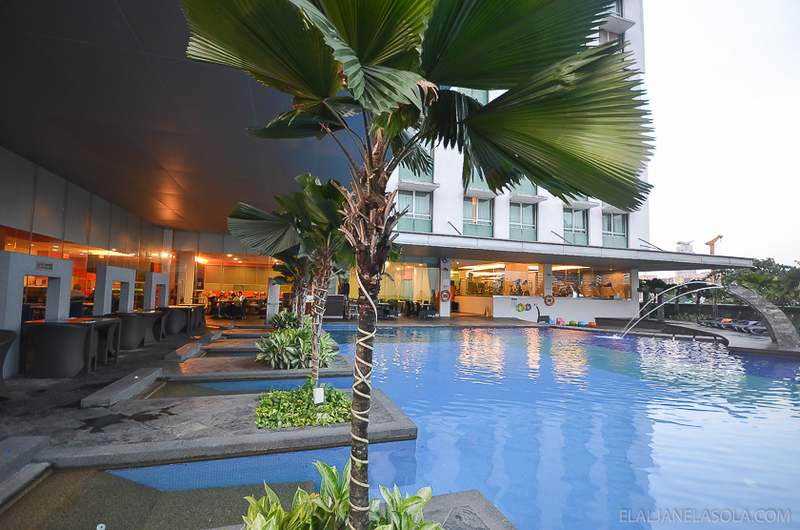 And Furama Bukit Bintang is strategically located in this area. 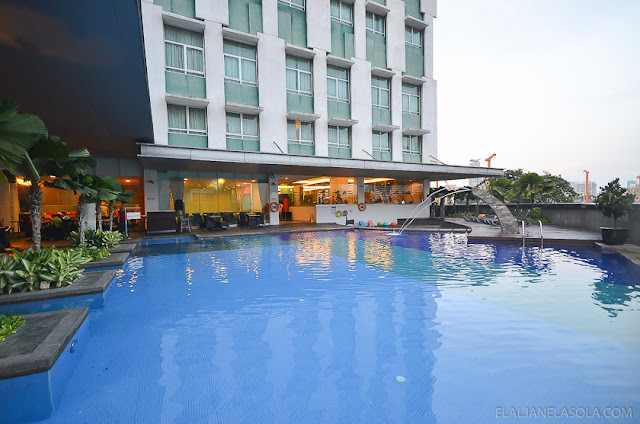 Arrived from a red-eye flight to Kuala Lumpur on the dawn of Saturday and right after alighting KL Sentral, booked a car to take us to Furama Bukit Bintang in just 10 to 15 minutes. 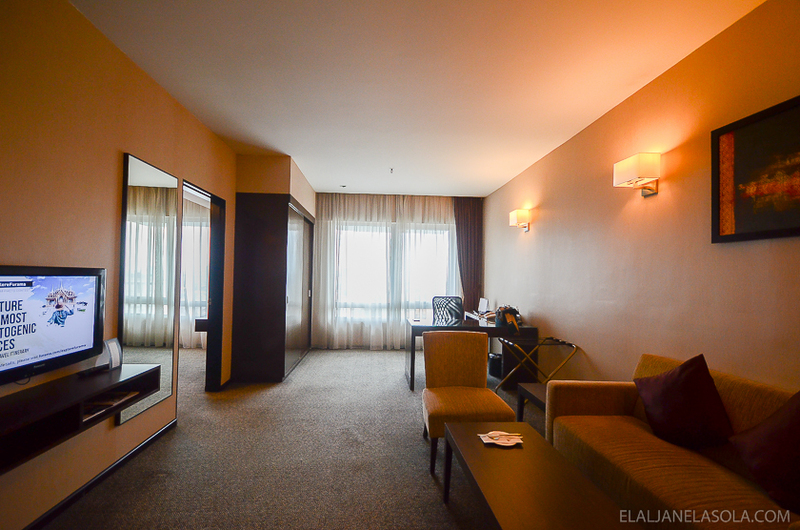 Arriving so late, it was a comfort that we were greeted with an Executive Suite comfort with an overview of Kuala Lumpur’s night sky. 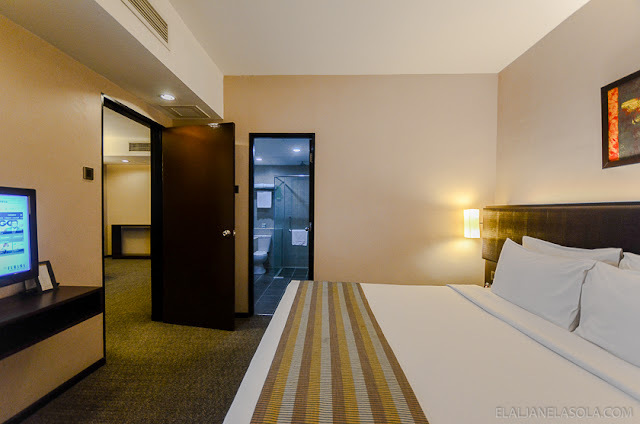 The room, usually in the 11th to 26th floor of the building, is an expansive 60 square meters of separate living and bed room, perfect for both leisure and business travelers. 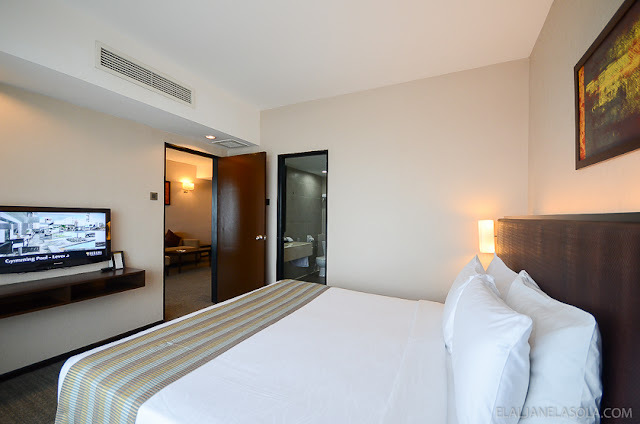 They have the complete room amenities such as drinking water, coffee/tea facilities, 32 inch LCD TV, work desk and chair, IDD phone, in-room safe deposit, shoe horn, coat brush, weighing scale, minibar snacks and drinks, bathrobes, bedroom slippers, bathroom toiletries, iron and ironing board, and hair dryer. Not only that, I also managed to borrow an international adapter to their helpful staff because I forgot to bring mine! 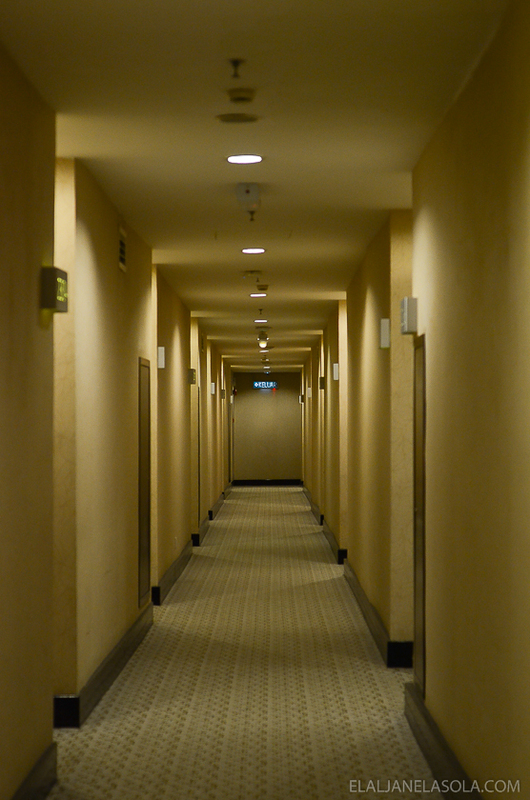 It is good to note, for me, that all rooms in Furama are non-smoking. Premium amenities to some rooms like Executive Suite and Executive Club includes exclusive access to the Executive Lounge for daily breakfast and evening cocktail. The evening cocktail dress code for Executive Lounge is smart casual and open to guests aged 12 years and above, and runs daily from 6 to 8 pm. 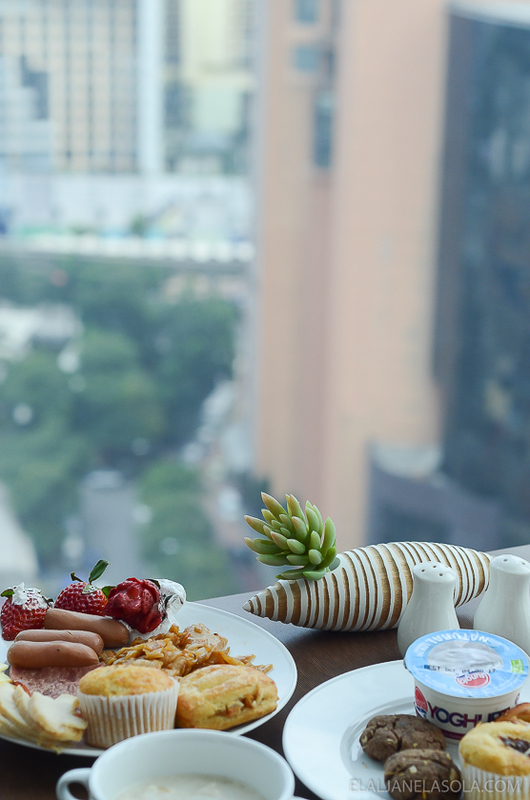 On our first breakfast, we were delighted to try the Executive Lounge breakfast with a more western choice from 7 to 1030 am. But one can also opt their other breakfast venue, Spices at Furama. 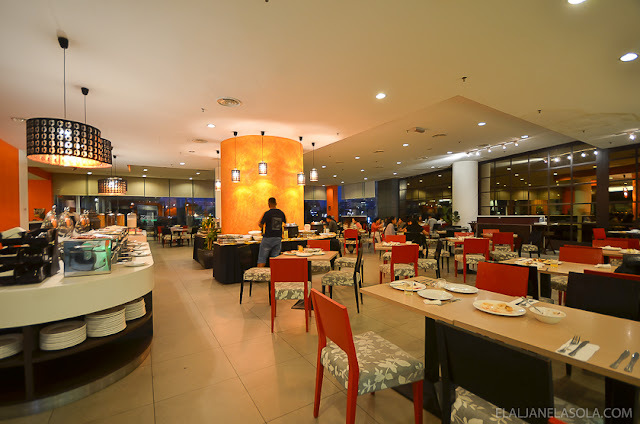 We tried Spices on our second breakfast where more Asian choices are available and we decided to do so since we need to get up early to catch our early morning flight to Langkawi since it opens from 630 to 10 am. 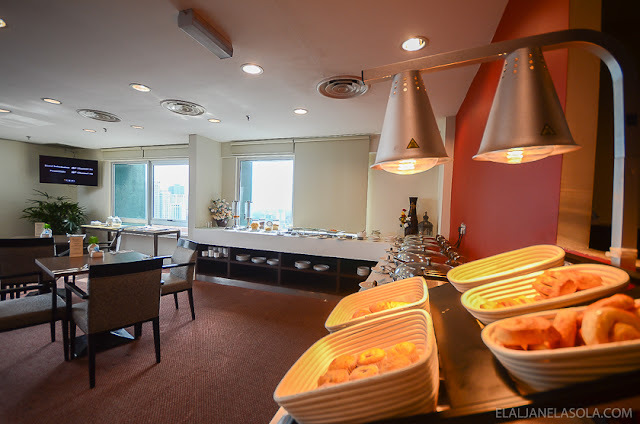 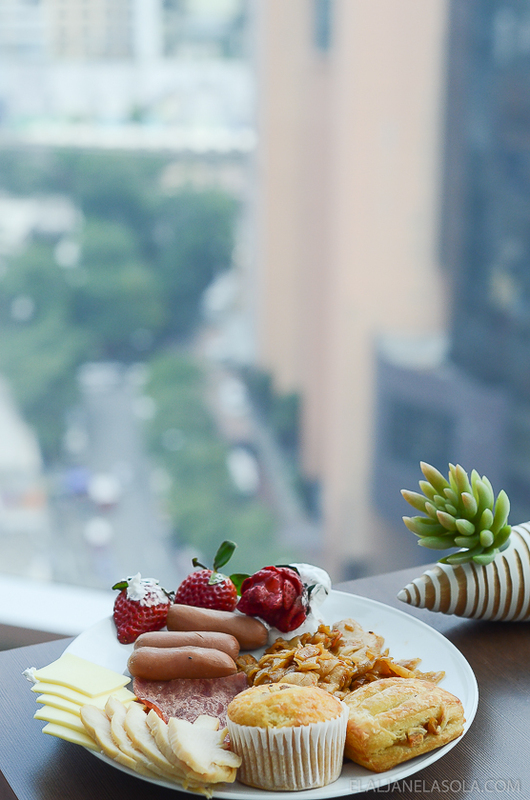 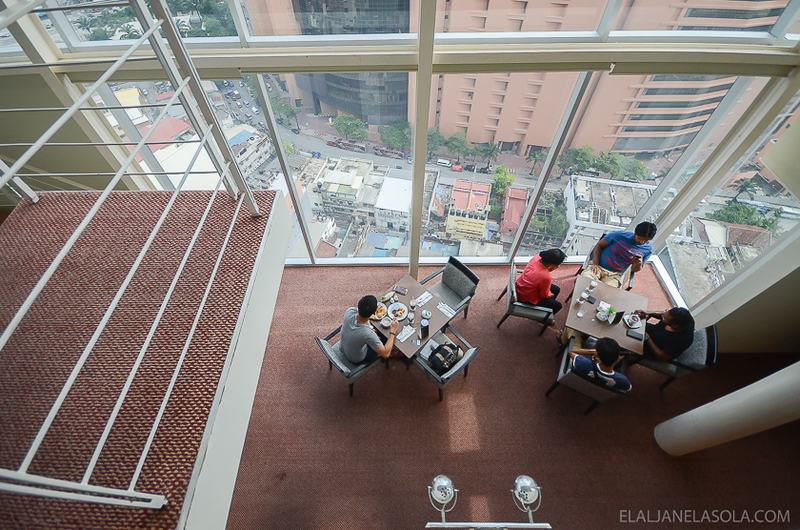 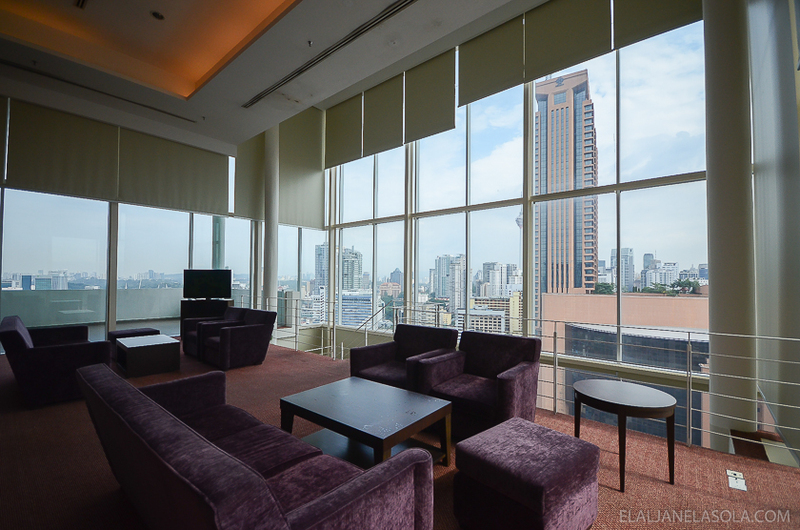 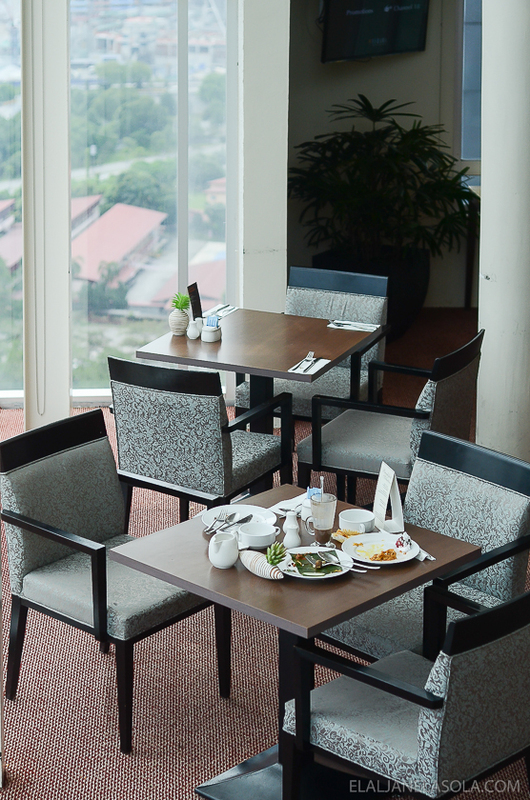 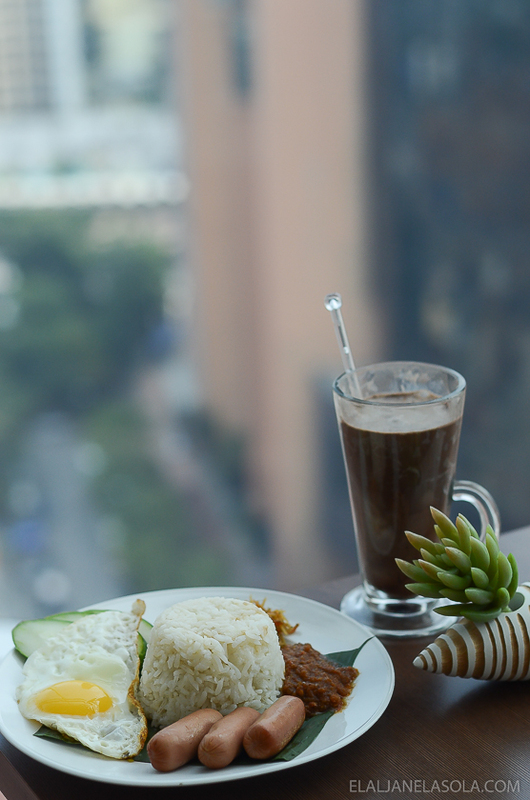 If Executive Lounge breakfast gives you the wonderful panoramic view of Kuala Lumpur’s concrete jungle and skyline, then Spices at Furama also greets you the poolside view of the hotel. I suggest for you to try both, if you can, for more delightful experience that suits your taste. 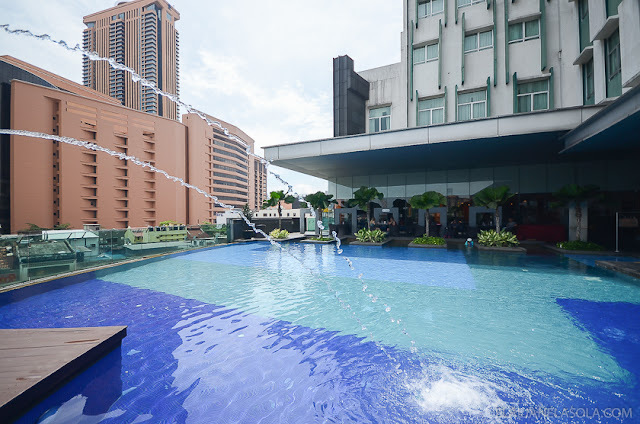 Right outside Spices is their poolside and fitness center, where you can opt to either chill and unwind with food and beverages at arm’s length or burn calories through swimming or exercising indoors. 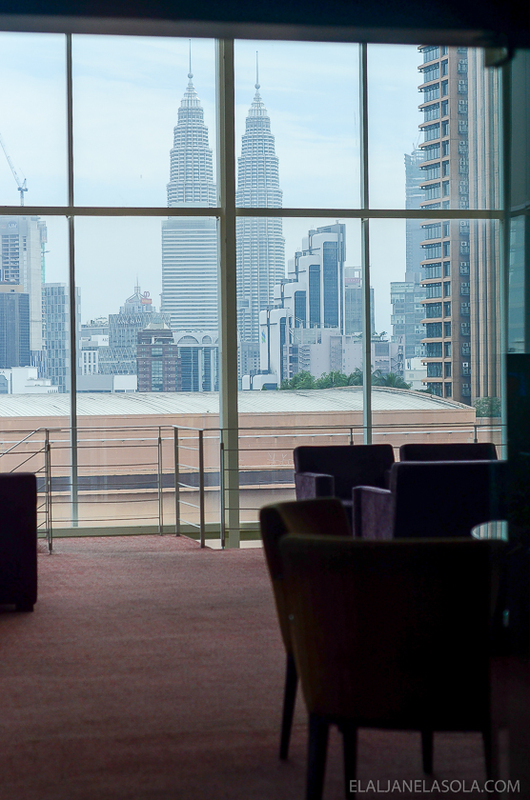 I chose to unwind shortly before heading to see the nearest places I’ve missed on my first visit in Kuala Lumpur. 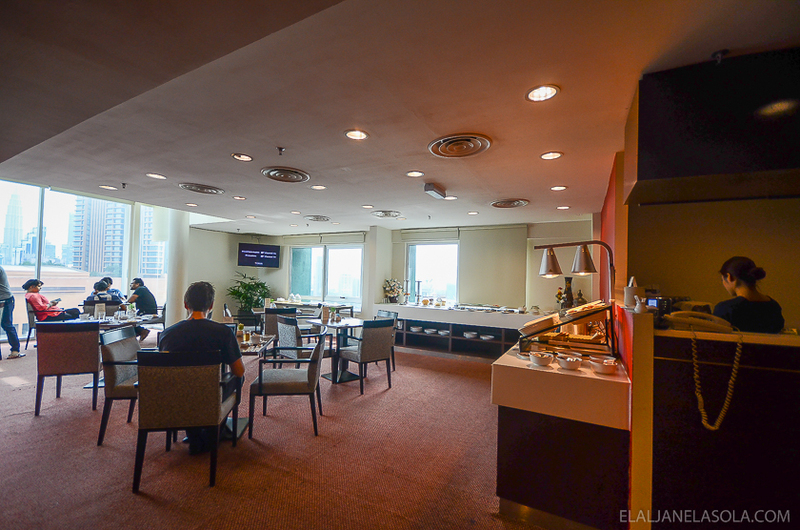 I might have missed the evening cocktail at the Executive Lounge due to rain downtown but from the photos I got during the breakfast, it must have been a good experience sitting with your cocktail of choice while enjoying the expansive lounge’s view of the sunset matched with simple pre-dinner snacks. 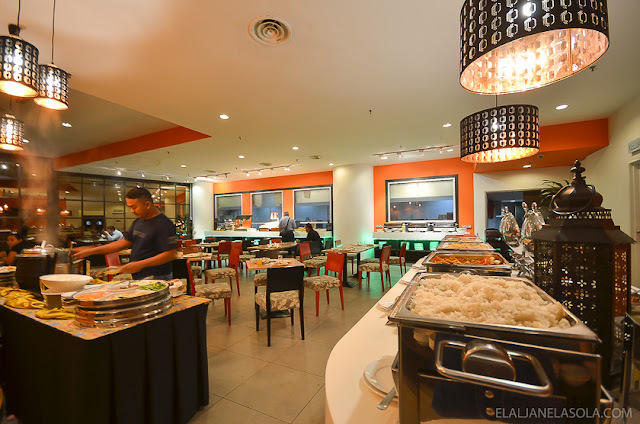 Aside from seeing some places in KL and going back to see the famous twin towers with the lights on this time, I managed to meet my cousin who I last saw in Dumaguete 13 years ago and is celebrating her birthday that same weekend I was in Kuala Lumpur. 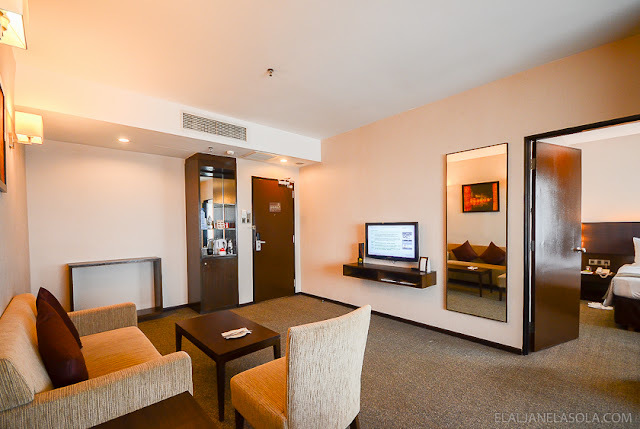 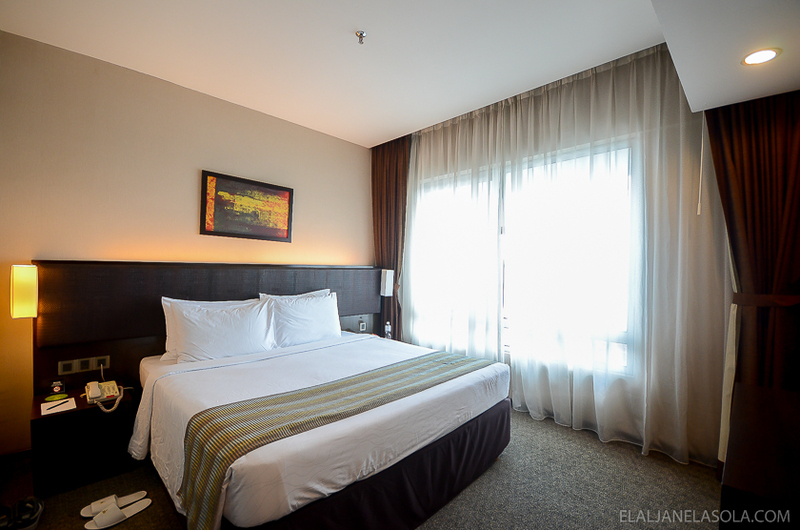 It was one quick but memorable stay of my birthday trip that started very well with Furama Bukit Bintang. 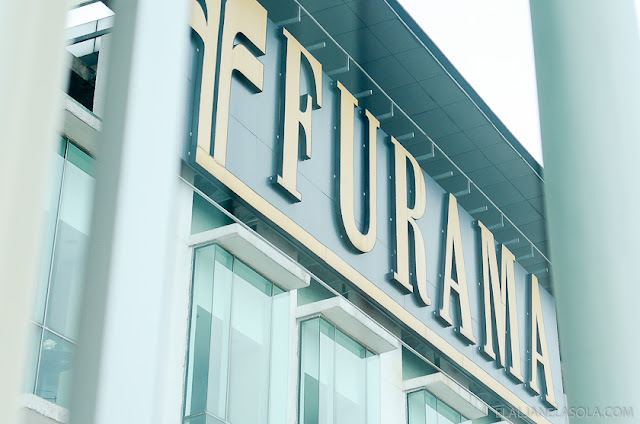 Furama Bukit Bintang is exactly located at Kuala Lumpur 136, Jalan Changkat Thambi Dollah, 55100 Kuala Lumpur, Malaysia. 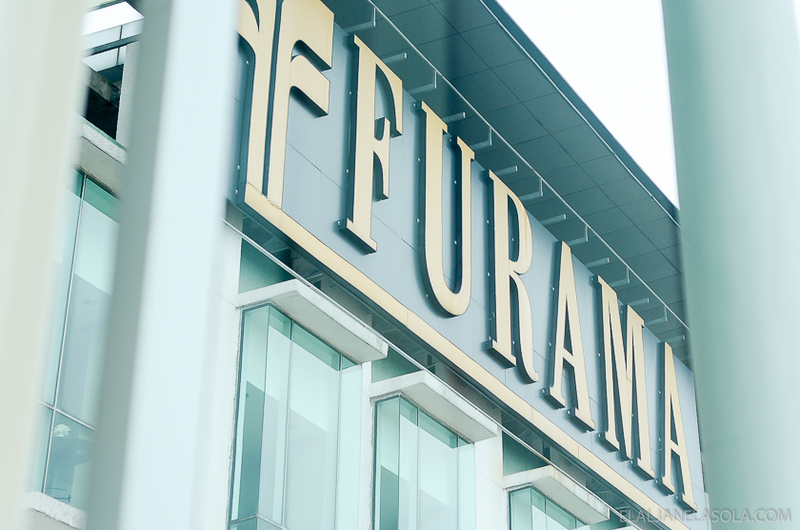 For more information contact bukitbintang@furama.com or visit their website: furama.com.